With all the excitement of our launch of Sale-A-Bration and our Spring/Summer Catalogue, don't forget we also have our weekly deals. 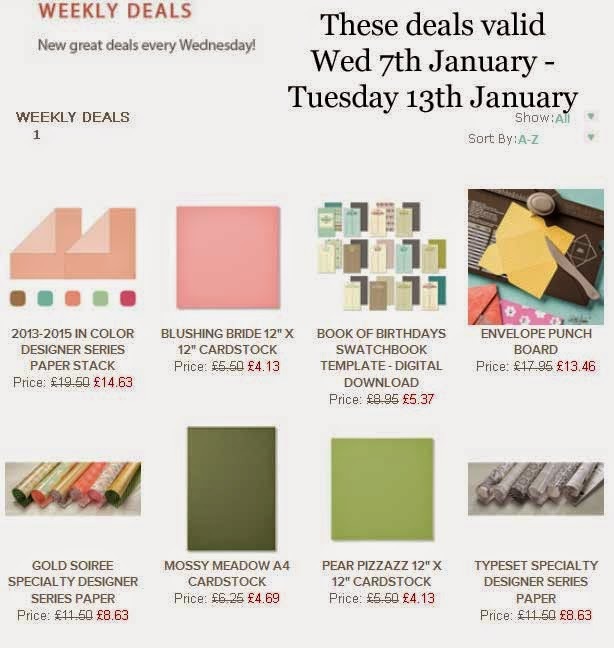 This week even more to tempt you - the the Envelope Punch Board at just£13.46 and our fabulous Typeset Designer Series paper at £8.63 it's well worth a look. Spend over £45 (including any of the weekly deals) and treat yourself to a FREE product. You can view the Sale-a-Bration brochure online by clicking on the SHOP link below. You can place your order online for speedy delivery, or email me your order if you prefer.